Start your 30 Days FREE Trial now ! The latest meeting-33rd GST Council meeting was rescheduled on 24th February 2019 from earlier date 20th February 2019. It was chaired by the Finance Minister Arun Jaitley. Real estate was in limelight. This is the first one after the Interim Budget 2019. The GST rates were slashed on the under-construction houses without ITC benefit; No changes to GST Rate on lottery or Cement. Real estate industry is one of the most important pillars of the Indian economy. Real estate industry contributes between 6-8% to India’s Gross Domestic Product (GDP) and it stands second after IT industry in terms of employment generation. With multiple taxes applicable previously like Service tax and VAT, with GST coming into the picture, indirect taxation in this sector is wholly revamped. Let us understand the implications of taxation of the various real estate transactions under GST. Nature of Duty Rate of Tax When was tax required to be paid? Under the erstwhile indirect tax regime, Cenvat Credit on inputs used for the construction of a building or a civil structure or any part thereof was restricted too. * NOTE: The homes purchased under the Credit-Linked Subsidy Scheme (CLSS) attracts 12% GST rate. The applicable rate will be 8% after cutting the 1/3rd amount towards the cost of land. Under the earlier tax regime, buyers had to pay VAT, Service tax, Registration charges & Stamp duty on purchase of properties under construction. Also since VAT, Registration charges & Stamp duty were state levies, prices of properties varied from state to state. Moreover, developers had to pay various duties like sales tax (CST), custom duty, OCTROI etc. for which credit was not available. Under GST, a single tax rate of 12% is applicable on properties under construction while GST is not applicable on completed or ready to sale properties which was the case in previous law. Hence buyers will benefit from reduction of prices under GST. In the short-term, buyers may stick to “wait and watch” approach to gain more understanding on the impact of GST on property prices and defer buying decision. Also, in the long term, GST will a positive impact on buyers if the benefit of input tax credit received by the developer is passed on to the buyer. Under the previous tax regime, developers had to bear Excise duty, VAT, Customs duty, Entry taxes etc. on raw materials / inputs and Service tax on various input services like approval charges, architect professional fees, labor charges, legal charges etc. ITC was not available for duties like CST, Customs duty, Entry Tax etc. This would impact the pricing and subsequently the burden was transferred to the buyer. Under GST, developers’ construction costs are significantly reduced as multiple taxes are subsumed and due to the availability of input tax credit. Also, reduction in cost of logistics will be an added benefit. Hence developers may see improvement in margins. On the downside, developers have to do multiple calculations to arrive at ITC in order to pass it on to the buyers. Hence, in most cases, they can pass on the ITC only during the final stages. This lack of transparency on ITC, may affect the developers since buyers may resort to “wait and watch” approach and defer buying decision. And, in the erstwhile laws, a large portion of expenditure remained unrecorded in the books. Under GST, availability of credit on inputs and cloud storage of invoicing has reduced under recording of expenditure. The impact on the allied services like labor, material suppliers, service suppliers etc. depends on the increase or decrease in the tax levied on these goods and services. This will have a consequential impact on real estate industry as a whole. For example, earlier cement was taxed at an effective rate of 27-31 percent which will now be taxed at 18 percent. Increase in cement prices will result in consequential increase in the overall cost of construction. The concept of RCM has been borrowed from the erstwhile Service tax law. 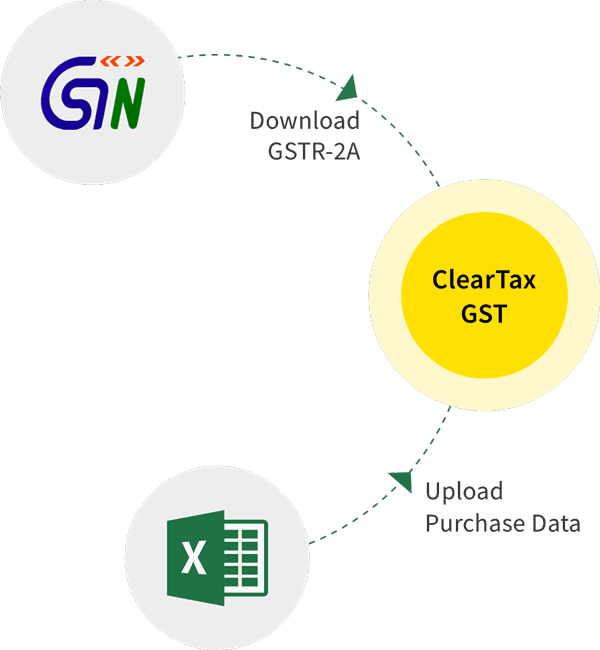 The scope of RCM has significantly expanded in GST which may adversely impact the developers. One of the significant additions to RCM under the GST law is, if goods are procured / service are received from a person who is not registered under GST, a registered person under the GST has to pay GST on all such supplies. In cases where services are received from goods transporters, legal services received from an individual or firm, services received from the government or local authorities, like municipalities, etc. (subject to exceptions), developer has to pay the GST on the same. Also, under GST, the developer cannot adjust the tax payable under RCM against the input credit available from the GST paid on the inputs. Instead, it has to be paid by cash/bank payment. This will increase the costs and has a negative impact on the developers, especially the small developers. Under GST, credit of taxes charged on all input and /or input services which are used or intended to be used in the course of furtherance of business would be available subject to exceptions. He has the possession of tax invoice (purchase invoice) / debit note. The tax charged on such supply is paid to the Government by the supplier. He has furnished a valid return. The goods and services should not have been used for personal use. NOTE: The word “construction” includes reconstruction, renovation, additions or alterations or repairs to the extent of capitalization to the said immovable property. Example 1: If the cost incurred for the change of interiors of service apartment is added to the cost of immovable property (in this case, service apartment) then it forms part of the cost of Service apartment (immovable property) and accordingly input tax credit is not available for the taxes paid on change of interiors of service apartment. Example 2: Mantri Developers constructs a building for its branch office. In this case, ITC is not available. Example 3: L&T constructs a hydraulic machine used for construction of its branch office. In this case, ITC is available. For the limited purpose of calculating the GST, stamp duty and registration charges are excluded. Stamp duty will continue to be applicable on both completed properties and under-construction properties as was the case with pre-GST regime.